Since the late-2000s, China has sought to internationalize its official currency, the Renminbi (RMB). 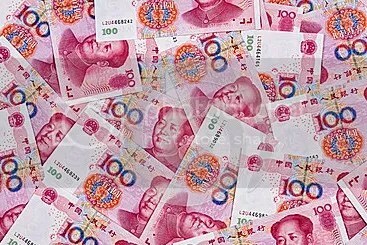 As of 2013, the RMB is the 8th most traded currency in the world, according to Society for Worldwide Interbank Financial Telecommunication (SWIFT). In July 2007, dim sum bonds worth a total of US$657 million were issued for the first time by China Development Bank. Until July 2010, only Chinese and Hong Kong banks were allowed to issue bonds denominated in yuan, the basic unit of the renminbi. Now all banks can. On 9 October 2013, the central banks of China and the European Union (EU) signed the bilateral currency swap agreement with a volume of 350 billion RMB, around 45 billion euros. In June 2013, Britain became the first G-7 country to set up an official currency swap line with China. CNBC reported in March 2014 that the U.K. has struck a deal with China to set up a renminbi clearing bank in London, as Britain tries to reinforce its position as the central hub for Chinese investment outside of Asia. Investors have poured into renminbi-denominated assets since 2011, when the renminbi qualified foreign institutional investor scheme was established in Hong Kong, giving investors access to Chinese shares and bonds. This allowed investors to gain exposure to the rapidly appreciating currency. However, the renminbi has steadily dropped in value against the dollar during the past six months, as the People’s Bank of China has intervened to curtail hot-money inflows. In my opinion, the recent depreciation is not very large compared with other global currency movements, and overall volatility of the renminbi remains exceptionally low. Investors should still look to invest in renminbi, because it will continue to appreciate over the long term, as China moves towards full convertibility of its currency. This entry was posted in China, Investing and tagged China, China Development Bank, CNBC, People’s Ban﻿k of China, Rani Jarkas, RMB, 拉尼.亚卡斯, 亚卡斯. Bookmark the permalink.